Something borrowed, something blue. Springtime is the perfect time for a wedding. 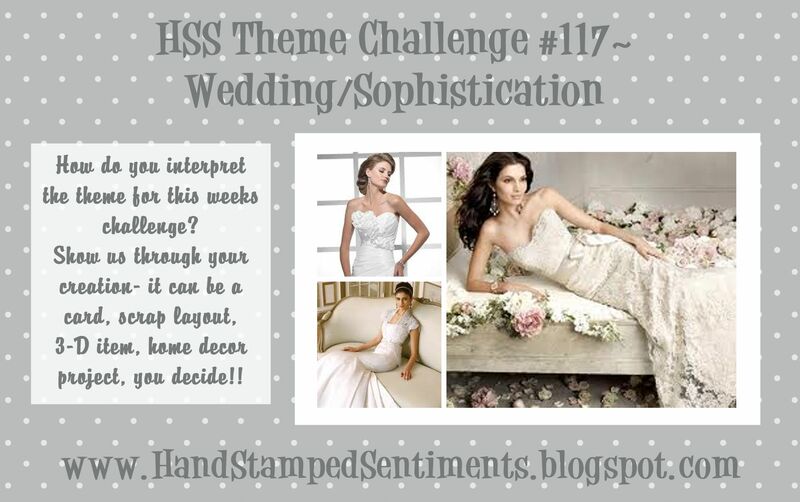 For this week’s challenge at Hand Stamped Sentiments we have a wedding project challenge. My card was inspired by the stamp set Established Elegance. I selected for my blue shade – Pool Party. Love, love, love this color! I paired it with Certainly Celery for a fresh spring feel. To add to the vintage style, after stamping the images I sprayed the scallop circle and Pool Party layers with water then crumpled them. I also used my Color Spritzer to lightly spray the frame and sentiment layer with Early Espresso. I have included a close up of the card below. I used non-Stampin’ Up! white tulle around the bust form. I added the pearls for an elegant touch. I hope you’re inspired to show us your wedding project. 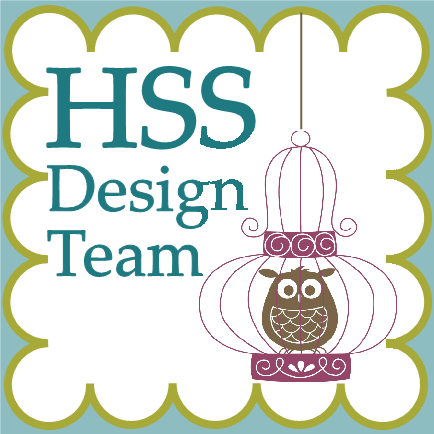 Hop on over to Hand Stamped Sentiments to be inspired by our talented design team and to upload your creation. All Stampin’ Up! supplies below may be ordered from my website or email me to place your order. If you have any questions about any card featured on my blog please email me. soooo pretty!! I love all the fun layers and I am so in need of trying out the water technique…I think I’m too impatient to wait for it to dry, haha! Love the bit of tulle you slipped in there too! Love your vintage card! Great soft colors for a wedding. This card is SO beautiful! I’m jealous of those like you who can do vintage. Love all the little details on this card. That is a stunning card! I love the tulle, gracefully wrapped about the dress form. 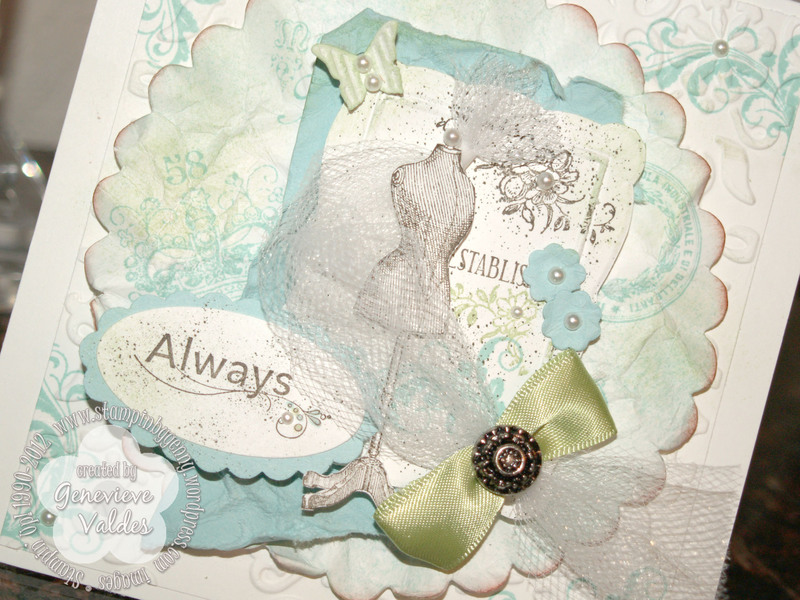 Love your vintagey stamps and Pool Party is perfect for this! I love how you went with borrowed (the vintage theme) and blue! What a great idea for this challenge! So many pretty elements! I seriously don’t know how you create such detailed elaborate cards, SO pretty and elegant! !